1. Elder David Lomison will be offering discussion and study on the topic of the Holy Spirit, using materials from the book "The Holy Spirit: God's Greatest Gift" as well as other prominent authors and theologians. 2. Pastor Denny and Kathy Dennis will be offering a study on the book of Galatians with accompanying discussion and fellowship. Sunday Evening Fellowship: (nursery available) Meets at 6:30 p.m. at the church. Kathy and Pastor Denny wanted to share with you the passion, excitement, wisdom and teachings from the 2012 North American Christian Convention! The result is this 8- week DVD study, entitled "Grace", that features the very best that the Christian Church & Churches of Christ has to offer. 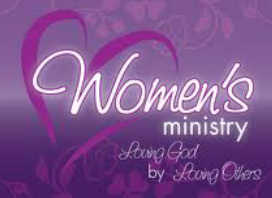 Women's Bible Study: Meets 7:00 pm Monday Evenings at the Dennis home. Reading "The Gift of Friendship", this study is designed to 'help women identify who they are based on their unique nature and in light of God's word'. For more information or directions, contact the church office at 322.9940 or via email. Sunday Evenings 6:30 p.m. - Worship, Study, Fellowship and FUN! LCC is also the founder, sponsor and host The Celebration, a yearly gathering of youth and their sponsors from churches all over the East and Central regions of the US. This year's gathering will be occurring November 9 &10. More information can be obtained on their official website: The Celebration. 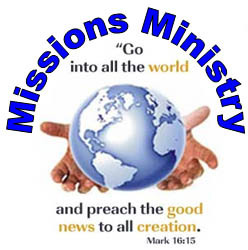 The Outreach Team's goal is to help others get to know God and become followers of Jesus Christ. We provide fellowship in a positive, uplifting atmosphere. Some of the programs implemented by the outreach team are: Mom's Morning Out, Faith Night at the Ballpark, and the Summer Campfires at the Dennis home. Anybody attending LCC is invited to join our team. Our team seeks to focus on the directives found in Matthew 28 and Luke 19 for our mandate and vision. Read the 2012 Advent Devotional, written by LCC members, coordinated by the Prayer Ministry team. Meets 1st & 3rd Saturday, 7:00 am, at the church. Everyone invited! Prayer is certainly an act of faith. Many times I've heard messages about child-like faith. I recently had the privilege of seeing one of those sermons in action. My son Rusty, myself and granddaughter McKinzie were out for lunch. As the food came, Russ said to McKinzie (who is three), "Mawmaw will say the prayer for our food." With such joy she said, "Dad, I can do it!". Sure enough, she prayed a cute little prayer, out loud, and she didn't care who heard her. She was so happy to pray. But then, where is faith in God, if we see everything in advance? God is faithful to us. When doubts come in, pray for the attitude of the man who asked Jesus to heal his child. He said, "I believe! Help my unbelief!" Our Worship Ministry meets Thursday evenings at the church to practice. If you have a love and gift for singing or playing an instrument, please contact the church office to be put in touch with a Worship Ministry leader. The Men's Ministry will be hosting a series of Saturday morning fellowship breakfast events. 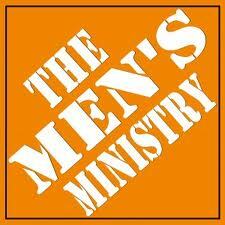 Join the men of the church for food, fellowship and encouragement. Men's Breakfast's occur periodically throughout the year. Contact the church office at 322.9940 or by email for more information. The Women's Ministry cares for the church family by planning and setting up fellowship meals, preparing communion, and sending care packages to our college students who live away from home. We also prepare and deliver meals for those in need due to illness and hospitilization, as well as providing family meals following funeral services. His Kids Clubhouse (Children's Church) - Sundays 10:15 a.m.
Beginning September 2, children ages 4 through 6th grade will have their very own energetic time of worship in His Kids Clubhouse (formerly known as the Jr. Church Room). His Kids Clubhouse is designed for the kids to worship and praise God together in the clubhouse at 10:15 am. Then, they will split into age appropriate groups to learn their Bible Memory Verses and a lesson from God’s Word. There will also be games and crafts that tie together with the lessons. The 4’s and 5’s will be learning from the Heart Shaper Program - Unit One: God Made People, Unit Two: Moses and God’s People, and Unit Three: Joshua and God’s People. Kindergarten through 6th grade will be learning from the Kids Time Program about the Fruit of the Spirit. Let’s not forget the 2’s and 3’s! 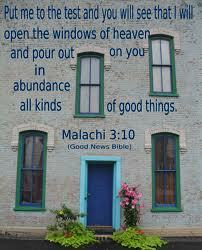 They will meet upstairs and will have their own time of worship and praise. They too will learn memory verses and have a lesson and a project each Sunday Morning. The 2’s and 3’s use the Preschool version of the Heart Shaper Program and will be learning simpler versions of the lessons mentioned above for the 4’s and 5’s. NURSERY (newborn through 2 years old) & TODDLER (2 - 4 years old) - Our adjoining nursery rooms are located at the back of the vestibule. All of our loving, competent volunteers are required to pass a criminal background check as well as obtain a child-abuse clearance which ensures your children's safety and well-being. Children also meet on Sunday Nights at 6:30 p.m. to practice for the Christmas Play, Easter Pageant, and Bell Choir, stay tuned for more information. Fun activities for the whole family such as skating, movie nights, sled riding, etc. are held once a month.